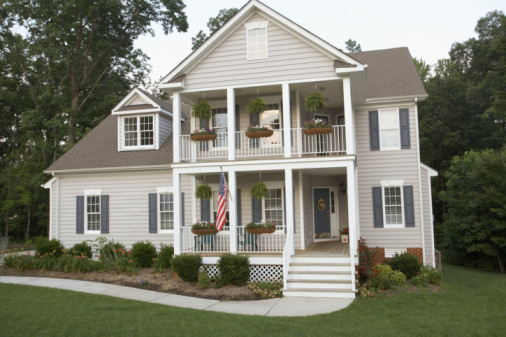 New exterior shutters can make a huge difference in beautifying your home’s façade. They were once only a functional part of homes used to protect the windows from rain and wind. Nowadays they serve a more decorative purpose. The best exterior shutters are made from wood. Wooden exterior shutters are durable, attractive, and insect resistant. They represent tradition and authenticity. Exterior shutters can come in almost any color, shape or style. If historical accuracy is important to you then wood shutters are your only option. Call or come by Southern Shutters & Blinds for an exterior shutters consultation. Southern Shutters & Blinds exterior shutters are made from the highest quality western red cedar and can be custom painted or stained to achieve any color effect. Southern Shutters and Blinds is conveniently located in Georgetown and Manor, TX with satisfied customers throughout Austin, San Antonio, Georgetown, Round Rock, Manor and Liberty Hill. Fixed Louver (slatted) – Louvered, or slatted shutters, enhance traditional-style homes. Louvered Window Shutters offer tasteful signature styling and a timeless accent. They can bring a graceful and enduring beauty to the exterior of your home. Board and Batten- Board and batten shutters look best on cottage, French country and rustic style houses. They’re rumored to be the first style of shutter invented. The vertical components are the boards and the horizontal components are the battens. This classic style is perfect for ranch style homes or homes that reflect historical significance and simplicity. Raised Panel- These shutters complement most traditional home styles as well. They add to a traditional colonial look. They’re an ideal enhancement to federal manor homes, traditional colonial homes and quaint craft cottages. Bahama- Bermuda or Bahama style shutters are perfect for achieving a tropical or island effect. These tropically-inspired shutters are hinged on the top. They consist of one louvered panel held out at an angle from the bottom. Southern Shutters and Blinds has the only start-to-finish shutter manufacturing facility in central Texas. If quality exterior shutters and good customer service are important to you, call or come by Southern Shutters & Blinds for a free consultation today. Southern Shutters and Blinds proudly serve customers throughout Georgetown, Manor, Austin, San Antonio, Georgetown, Round Rock, Manor and Liberty Hill, TX.